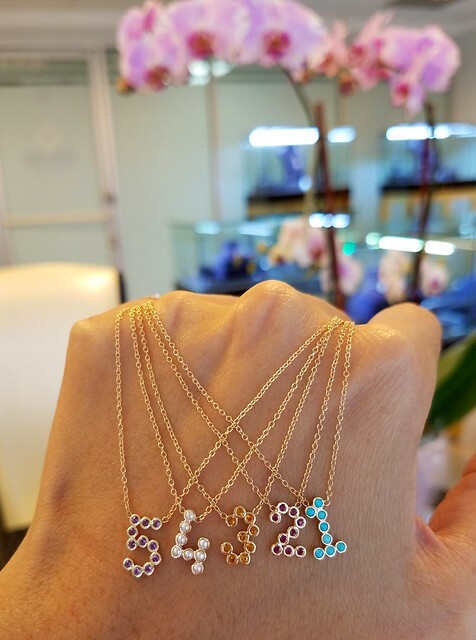 Dana Seng Jewelry has been wildly popular since it first launched because who doesn’t love personalized, layer-ready jewelry?! Her pieces let the buyer pick the letter that they want and the gemstone of their choice, allowing for double customization. It wasn’t long until Dana decided to unleash what the people have been wanting–NUMBERS! Just as letters are so special and important, so are numbers. We all have a lucky number, a favorite number…a date we were born on or celebrate something memorable, so I already know numbers are going to be a huge hit. For me, it will always be number 8! I was born on the 8th and the number has stayed with me all throughout my life and revealed itself in many ways. I know you–right now–reading this blog post, have a favorite number. Wouldn’t you love to have it hanging from your neck? Or chilling on your finger? Maybe even draped on your wrist? I’m excited to have partnered with Dana to be the one who announces this new birthstone number collection— and stay tuned for another really FUN blog post coming your way! HINT: I’ve never done anything like it before! 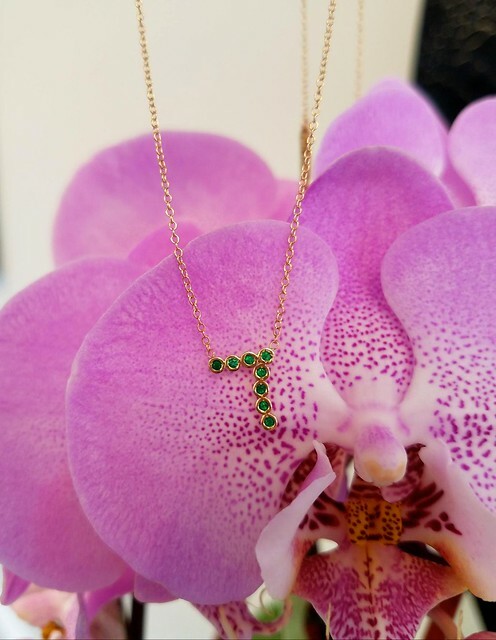 You can see the full collection and order your own signature birthstone number piece NOW on the official website–they just launched today! This sponsored post was brought to you in collaboration with Dana Seng Jewelry.